How will my cat settle into a cattery? Will my cat come into contact with other cats? What will my cat be fed on? What happens if my cat becomes ill during its stay? How often are the cats checked? My cat is on medication – can you administer it? Is it ok to bring my own food? Will you groom my cat? Can I bring along my cats favourite toys and bedding? When, and how, do I pay? 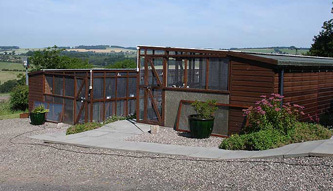 • How will my cat settle into a cattery? 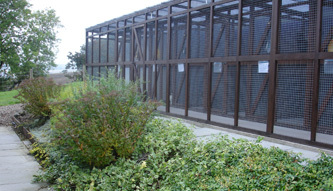 Despite many owners' reservations, cats settle very quickly into a cattery environment. They enjoy the routine of regular feeding times and feel secure within their individual accommodation. • Will my cat come into contact with other cats? This should never happen in a well run cattery. 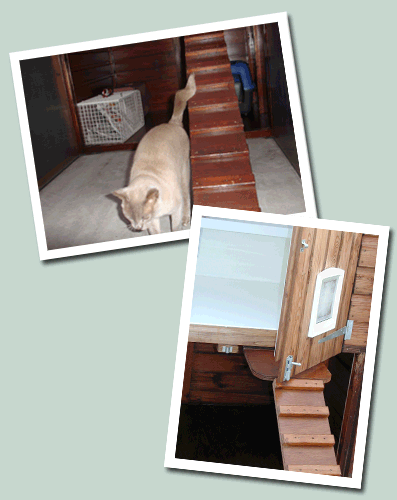 Only cats from the same household share accommodation and each house and run are fully disinfected between boarders. • What will my cat be fed on? We ask each owner what type of food their cat is normally fed and what their particular likes and dislikes are. We try to feed exactly the same food as the cat is normally given and at the same times of day. This also avoids any tummy upsets. We can cater for special diets but may ask you to bring any special prescription food. • What happens if my cat becomes ill during its stay? We have a vet on call and the cattery is insured to cover these costs providing the cat became ill during it’s stay and had no previous medical history. We always ask owners about any medical problems their cat may have and keep a note of any allergies,etc. • How often are the cats checked? We begin feeding and cleaning out the houses at around 8am and generally work around the cattery all day. The cats are checked again mid afternoon and then fed again around 4pm. We carry out a last check on all cats between 10 and 11pm. We also spend a lot of time with each cat - talking to and playing with it. • My cat is on medication – can you administer it? We are happy to continue medication for your cat in the same way you do at home as long as we are provided with a sufficient amount of medication for the period of your cats’ stay. • Is it ok to bring my own food? You are welcome to bring your own food if you prefer. We carry a wide range of food of the most popular types but we are unable to stock every kind. • Will you groom my cat? We are happy to groom your cat as long as your cat is used to being groomed and enjoys it. We would prefer that you bring your own grooming brush or comb. • Can I bring along my cats favourite toys and bedding? Cats often like to have a familiar blanket or bed in a strange place so you are welcome to bring anything you think your cat would like to have on his/her holidays. • When, and how, do I pay? 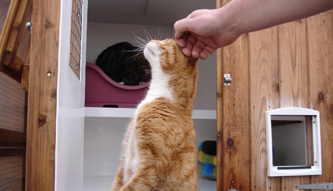 Charges are: £8.00 per day for one cat and £13.00 per day for 2 cats sharing. Further discounts apply for more than 2 cats or if you require a longer booking. (please contact us if you require more detailed price information). Payment is made when you collect your cat by cash, cheque or card. These prices are fully inclusive of food, heating & veterinary fee cover.